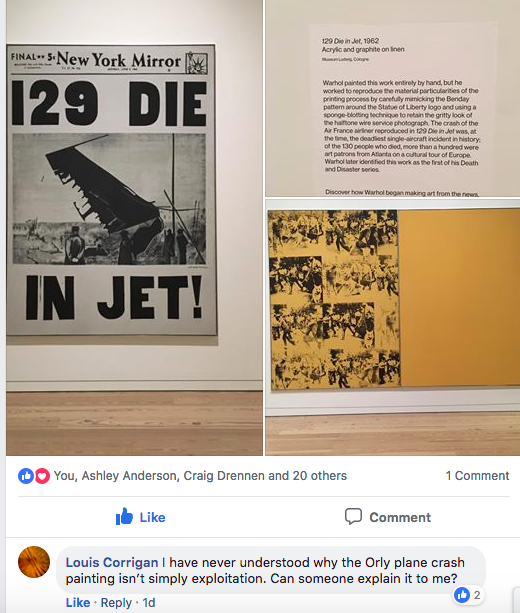 Reading Warhol’s 129 Die in Jet! 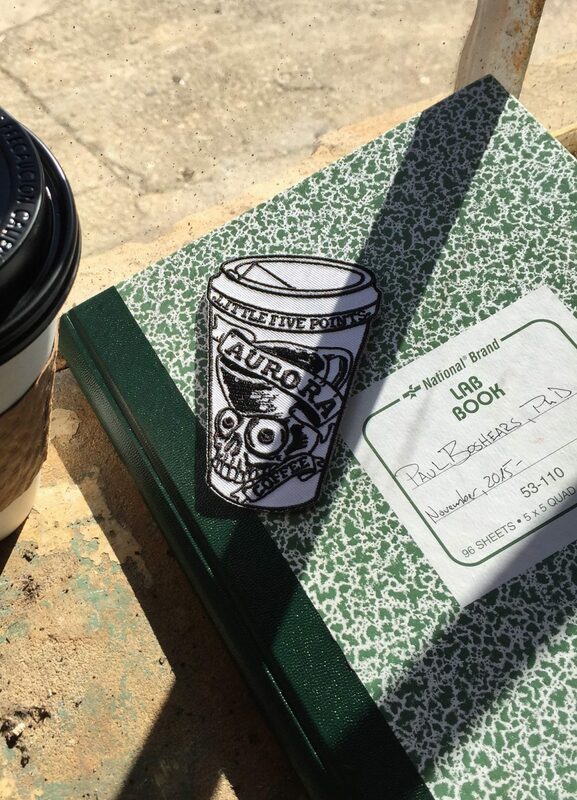 I’ve written about the Orly Crash and the significance that tragedy has had on the development of Atlanta’s arts communities for Burnaway. Here’s my response to Louis and I thank him for prompting me to write this down. Depending on what you are trying to ask we may be able to support a couple of answers with the evidence available to us. If you’re asking if we can be supported in claiming that Warhol’s painting has exploited a tragedy, then I think we can affirm that reading. We can also refine your question and in so doing we are opened onto a few other ways of receiving the image. With this question we can then muster the resources of the history of painting (especially focusing on the period from the advent of photograph to the period in which Warhol made this). If we look at the development of “modern painting” as a tendency to demonstrate how a human (specifically a painter) makes a kind of image that cannot be replicated by a machine (specifically a camera), then we can arrive at some, I think, really interesting ideas about art, technology, and representation. Let me begin by making a claim about the impulse toward modern painting in general. What we see in the development of painting, from the late 19th century to Warhol’s 129 Die in Jet! From the Renaissance through to the development of photography there developed a body of thinking about the nature of what we call “art” today. Keep in mind that this term has not existed in a vacuum and from the earliest days of “European” thought the concept of art was intimately related to another vexing word, “technology.” For the ancient Greeks the word tekhné would most closely resemble what we mean by “art” today, but they are not the same words and it’s important to give a brief outline of what tekhné (from which we get words like “technique” and “technology”) entailed for those Greeks back when. I’ve written about this topic for the Swiss exhibition at the London Design Biennale this summer. Tekhné referred to a type of knowing, a savoir-faire, that not only meant the person could manifest the vision they had in their heads, but also that the effect they caused, the thing they made, also had the potential to undermine another person. A gifted artisan using their tekhné could create an exquisite duck decoy, say. In order to create a useful decoy, the artist had to know quite a lot about how ducks are in the world. With this knowledge, the artist can trick the duck and thereby the hunter can successfully acquire their prey. Into the early 20th century we could encounter, in Europe and “the West,” the term beaux arts and this phrase continues to linger with us today when we mark the distinction between arts and crafts and “fine art.” There has been the need to distinguish beaux arts from other arts, like the mechanical arts (see, for example, the wonderful Musée des Arts et Métier in Paris); that is, the technical arts. But of course, artists are also engineers in the sense that artists of course deploy a variety of techniques and technologies to resolve a variety of problems. In the Renaissance era and through the Enlightenment period artists were often a kind of scientist, creating techniques and technologies to help render the world around them more sensible to observers. The development of linear perspective, tenebrism—frankly, the entire “science” of Anatomy arises from folks we today would call artists who were trying to find ways to represent the observable world with the greatest fidelity. In the Renaissance, again, an artist was one part mason and one part painter when creating frescoes. They were as likely to be hired for their ability to create life-like simulations of their patrons in portraiture as they were to be able to design an architectural space that showed the people of the region how great the artist’s patron was (often by representing the patron hanging out with deities). Tenebrism, linear perspective, trompe l’oeil, these are the techniques that visual artists (specifically painters) developed to lend the greatest fidelity of representation to the observable world. That is, the techniques for realism are the techniques for illusionism. 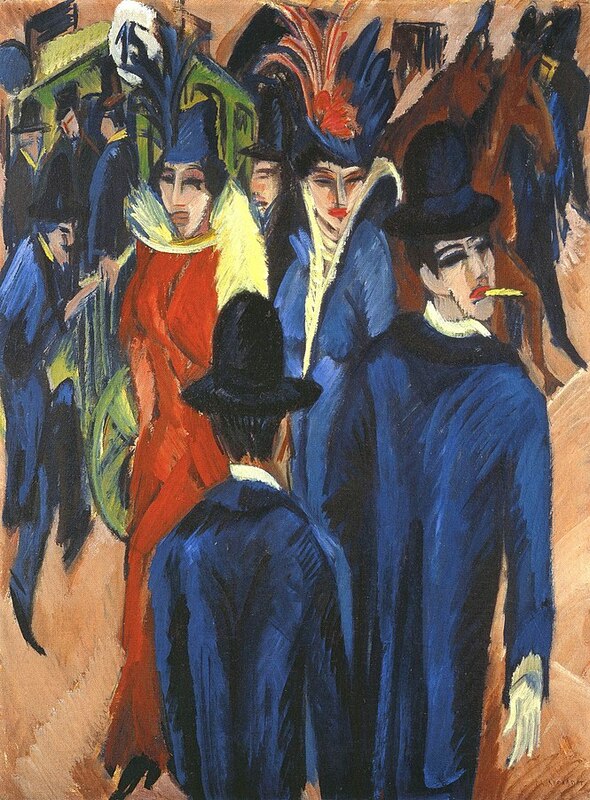 The academic style of painting that the avant-garde artists sought to break from required that the painter disguise as much as possible any traces of mark-making by the artist. The canvas should act as a kind of portal that the spectator could imagine stepping into and being transported into this other world. Napoleon is shown on a fiery steed, but in truth he crossed on a donkey. 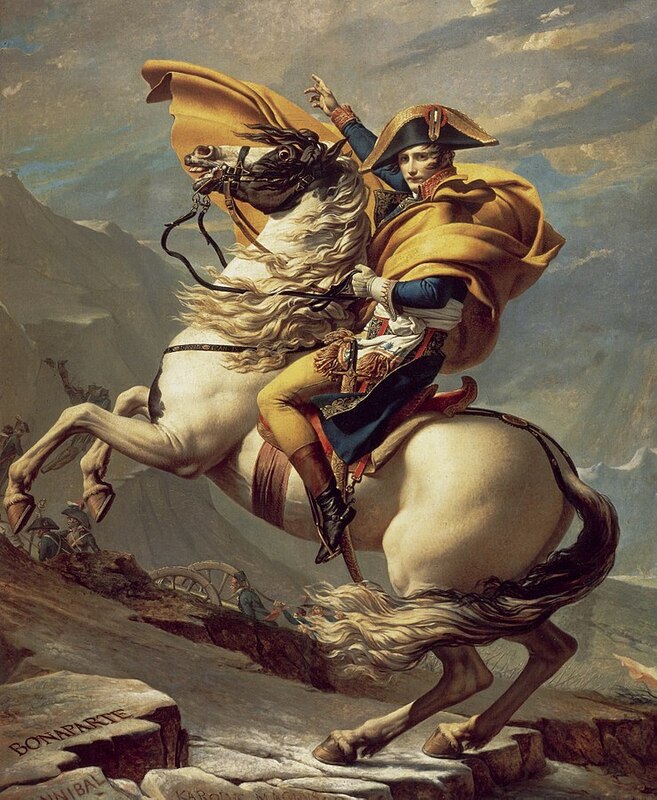 No matter for the folks of the time, the Spirit of History required that Napoleon be represented in this grand manner because of the magnitude of his actions on the course of human affairs. But it is a lie. With the advent of the camera History no longer requires humans to be its recording agents. The advantage of the photograph (although this isn’t initially how it was received) is that it records the way that light falls upon subjects, the image we see is, we are told, objectively how the world appeared at that moment. Ask any artist what genre of painting they are most likely to sell and I’ll bet dollars to doughnuts they will concede that they are much more likely to sell portraits and landscapes than they are to sell pure abstractions. The camera, then, presents a real dilemma for the portrait-making artist because the camera can more rapidly make that portrait than the painter. Furthermore, thanks to the development of printing technologies, there also exists a machine that will reproduce, with greater speed and fidelity, that same portrait so that the customer can send a copy to everyone in the family tree. The camera and these printing technologies induce a kind of existential crisis for painting. A veritable steam engine vs. John Henry moment. Is it any surprise, then, that we see the development of impressionism as there is this increase in the use of photography? Impressionism moves away from the academic style of painting that requires that the painter hide their brushwork, and, by flaunting their paint strokes, makes the viewer aware that what they are viewing is artificial. What the impressionist painting, in effect, states is that only a human painter to create images that speak to the fidelity of the human experience of a moment. Sure, a camera can show us how light fell on subjects at a specific moment, but only a Van Gogh can show us a human’s impression of a moment. The camera objectively records the external world with fidelity; but the human being, through artifice, can present the inner workings of a spirit or psyche. From the late 19th century forward we see painters increasingly occupied with painting as the primary medium for human expression of one’s inner life. What do humans in the early 20th century express? Their sense of being lost in a sea of mass produced objects and printed images. Increasingly humans find themselves alienated from their work (through the assembly line), from their neighbors (with the move to urban areas), and from themselves (with the development of psychiatry). With the development of Cubism we see a significant painterly response to the proliferation of printed objects in the human environment. The collages of Braque and Picasso show us artists metabolizing mass print culture into a beaux arts context. With Picasso’s Still Life with Chair Caning (1912) we are led to accept that it is the surface of the image, no longer representational fidelity and illusionistic perspective, that matters for humans making art. It is in the superficial that we can find the deeper truths of our inner lives. The newspaper, once the tool through which democratic representation could be secured, by the early 20th century had become the site of constant phantasmagoria. Unlike the novel, which we read from left to right, top to bottom, the newspaper is disjointed and places stories of one’s neighborhood next to stories about Timbuktu, sports scores, and society gossip. To read the newspaper in the same way as a novel is a schizophrenic affair. The fundamental conceit of the newspaper is that the reader must imagine themselves as a small water drop in a torrential historical flood. Everyone, everywhere, communicating with one another and no one has a better sense of the world than anyone else. By the time Warhol embarks on his Death and Disaster series several generations of humans have been enculturated to accept the near-constant barrage of images from far-away places and too-horrible-to-comprehend situations. 129 Die in Jet! isn’t the first painting to comment on the loss of intelligibility in the modern era, but it is a very explicit and plain statement about the crisis of representation at the heart of Modernity. Warhol’s painting exists not as a comment on the horrific scene, but leads one to question the cruelty of a constant flow and reproduction of death in the daily media consumption of the times. One could argue that the development of media like the slasher genre, as we’ve seen from Larry Rickels, and perhaps Warhols’ Death and Disaster series have been propagated as a therapeutic response to the horror of contemporary life. Following Rickels’ thinking on the matter, we gladly consume images of cruelty and absurd violence as entertainment in preparation for the absurd cruelty of our own lives. I’ve written about this in my discussion of AMC’s The Walking Dead and why that show had to be set in Atlanta. Rather than reading 129 Die in Jet! as simple exploitation of a tragedy that impacted all those families, Warhol’s painting also opens us onto the horror of living in a society that simply cannot stop itself from revisiting and reproducing absurd violence. Although 129 Die in Jet! might be read in this manner, we cannot ignore that the reproduction of cruelty in itself is not an antidote to the ongoing horror of being alive. We can look to Gerhard Richter’s paintings of photographs of the Baader-Meinhoff Group, 18 October 1977 (1988) to see the continuation of the problems that Warhol is exploring in his paintings. Please watch Robert Storr’s discussion of Richter’s paintings here. 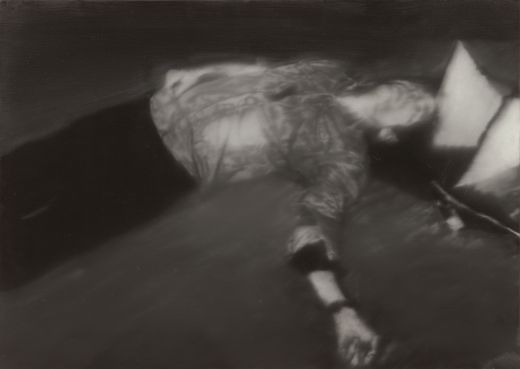 Man Shot Down 1, Gerhard Richter (1988) via the artist’s website.